Seabulk Towing had a high vibration issue on a tug. The vibration was so intense that the Vulcan couplings were consistently damaged during operation. 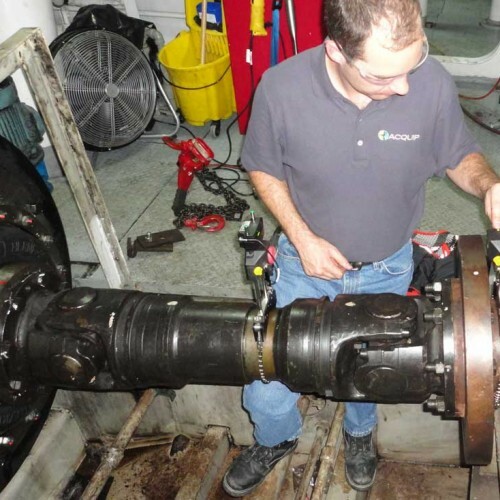 It was determined that the high vibration and coupling damage was most likely caused by an alignment issue. 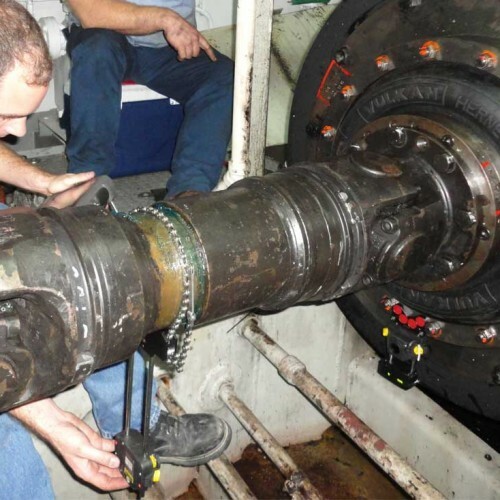 To complete the cardan shaft alignment it is necessary to align multiple components, but it had to be done quickly so the tug could return to operation. 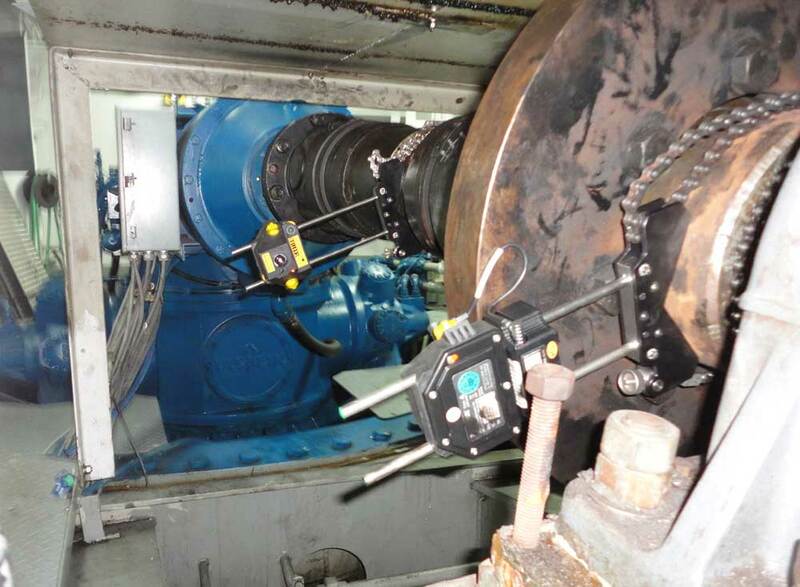 A cardan shaft machine train alignment had to be performed to meet the requirements of the project. 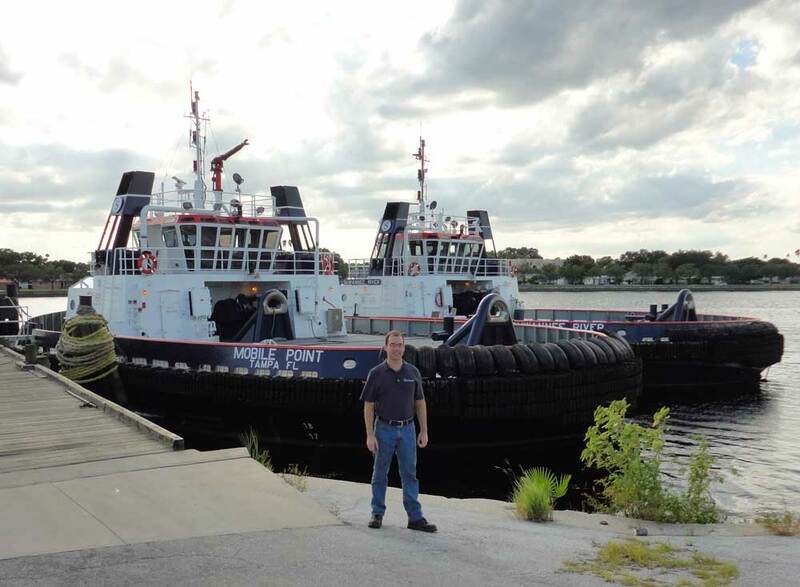 ACQUIP Marine was contacted to perform the cardan shaft laser alignment on the Tug. 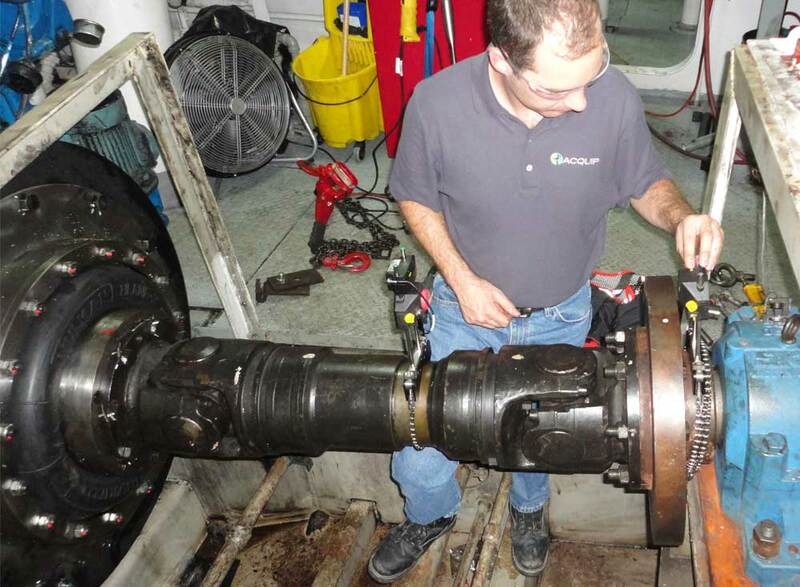 We had to read each of the cardan shaft couplings and view the alignment as a whole. 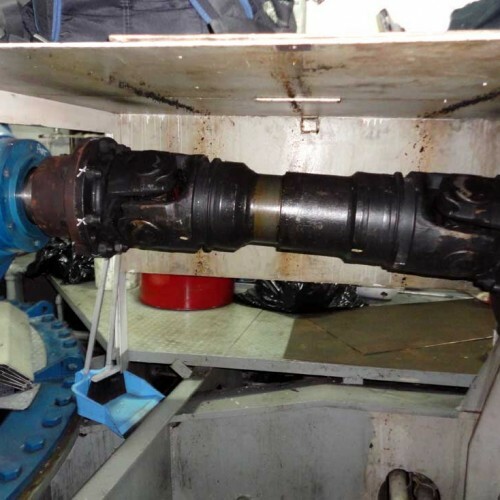 The axial spacing of each cardan shaft was checked. 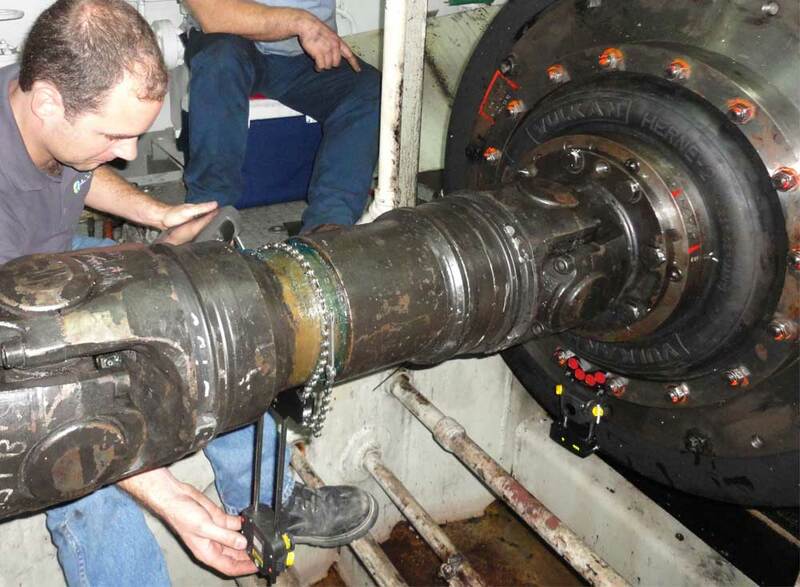 All cardan shaft positions and pedestal bearings were checked to compare to the shaft arrangement drawing. It is important that the axial spacing is within tolerance as well as the angle that exists at each cardan shaft knuckle. 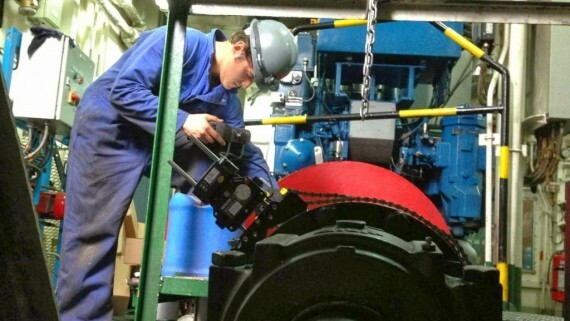 This is critical to ensure smooth operation of the cardan shaft machine train. 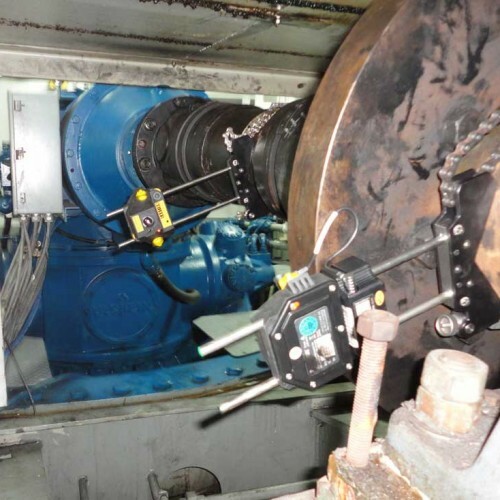 CQUIP Marine Alignment Engineers determined that the axial distance on the port side cardan shaft drive was incorrect. 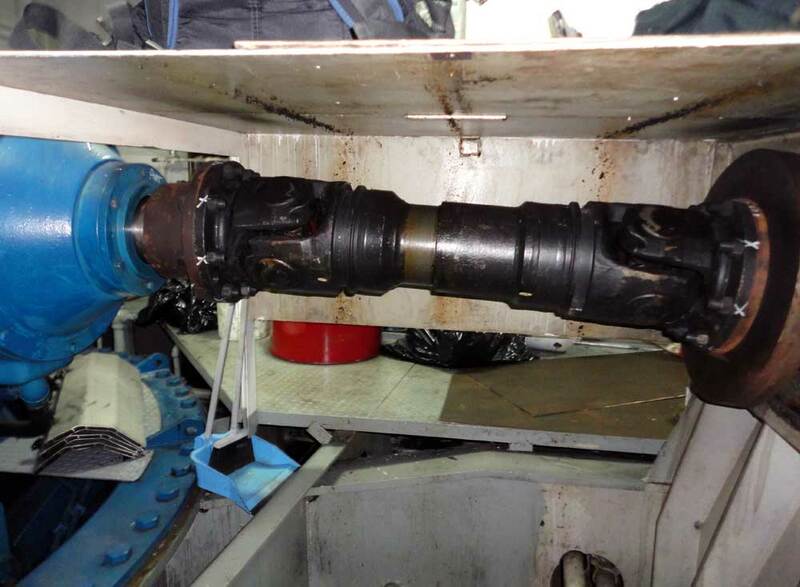 In addition, the angles exhibited at each cardan shaft knuckle were not equal and at a more extreme angle than is allowable. By comparing all positions to the shaft arrangement drawing, it was determined that the pedestal bearing was in the wrong location. The cardan shaft drive system was modeled in the computer, a theoretical move was made on the pedestal bearing to its correct location. When this move is accomplished it will correct the axial distance and equalize and reduce the angle at each knuckle. 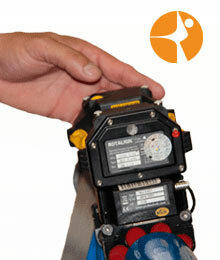 This will correct the alignment issue on the cardan shaft drive and should correct the vibration issue. 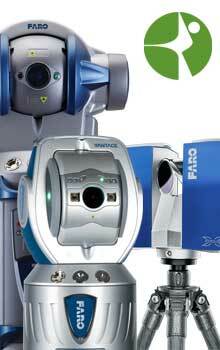 It will also save money on Vulcan couplings! 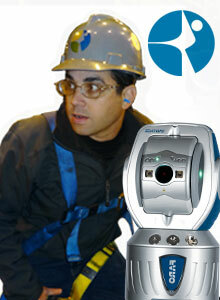 For more information about our cardan shaft alignment services contact us +1 855 ACQUIP1 or email us at info@acquip.com. Seabulk Towing services and company names are trademarks™ or registered® trademarks of their respective holders. Use of them does not imply any affiliation with or endorsement by them. 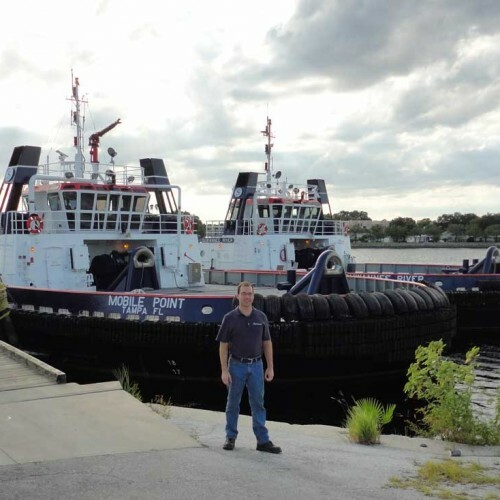 Seabulk Towing Company is a trademark of Seabulk Towing Inc, a subsidiary of SEACOR Holdings Inc.